NEW YORK CITY -- Martin Shkreli, the eccentric former pharmaceutical CEO notorious for a price-gouging scandal and for his snide "Pharma Bro" persona on social media, was convicted Friday on federal charges he deceived investors in a pair of failed hedge funds. Shkreli, 34, told "lies upon lies," including claiming he had $40 million in one of his funds at a time when it only had about $300 in the bank, Assistant U.S. Attorney Alixandra Smith said in closing arguments. The trial "has exposed Martin Shkreli for who he really is - a con man who stole millions," added another prosecutor, Jacquelyn Kasulis. But the case was tricky for the government because investors, some wealthy financiers from Texas, testified at the trial conceded that Shkreli's scheme actually succeeded in making them richer, in some cases doubling or even tripling their money on his company's stock when it went public. The defense portrayed them as spoiled "rich people" who were the ones doing the manipulating. "Who lost anything? Nobody," defense attorney Ben Brafman said in his closing argument. Some investors had to admit on the witness stand that partnering with Shkreli was "the greatest investment I've ever made," he added. 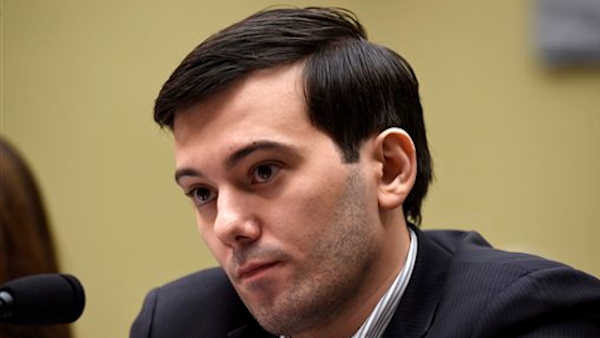 For the boyish-looking Shkreli, one of the biggest problems was not part of the case - his purchase in 2014 of rights to a life-saving drug that he promptly raised the price from $13.50 to $750 per pill. Several potential jurors were kept off the panel after expressing distain for the defendant, with one calling him a "snake" and another "the face of corporate greed." "I don't think it mattered to him - it was just what he thought he could get away with," said Richard Kocher, a New Jersey construction company owner who invested $200,000 with Shkreli in 2012. "It was insulting." Shkreli's lawyer agreed his client could be annoying, saying, "In terms of people skills, he's impossible," and referring to him as a "nerd" and a "mad scientist." But he said his hedge fund investors knew what they were getting. "They found him strange. They found him weird. And they gave him money. Why? Because they recognized genius," Brafman said, adding that they had signed agreements that his client wasn't liable if they lost their money. Jurors also heard odd vignettes befitting the quirky defendant: how Shkreli slept on the floor of his office in a sleeping bag for two years; how a drug company board member and former American Express executive wrote an email saying he'd meet with Shkreli "only if I can touch your soft skin"; how Shkreli wrote a letter to the wife of an employee threatening to make the family homeless if the man didn't settle a debt. Shkreli didn't testify. But rather than lay low like his lawyers wanted, he got into the act by using Facebook to bash prosecutors and news organizations covering his case. In one recent post, he wrote, "My case is a silly witch hunt perpetrated by self-serving prosecutors. ... Drain the swamp. Drain the sewer that is the (Department of Justice.)"